Browsing around the internet I found a picture that brought back not entirely pleasant memories. It’s 1984, and you are standing on the subterranean platform at Mong Kok, first station up the line from the Hung Hom, Kowloon, terminus of the Kowloon-Canton Railway. There’s a rumbling noise very different from the usual electric multiple unit as something else approaches. Your two-year old daughter covers holds her nose. This picture by David Barth brought back unpleasant memories. A pretty normal stock car, but it’s full of pigs. Pigs do smell. Lots of pigs in a small space smell worse. A train of terrified pigs heading for the Mong Kok government abattoir is an olfactory assault of the first order. The smell was overwhelming, and it lingered for a good 15 minutes or so after the train passed by. It really wasn’t the same when the HK Government moved the abattoir to Shueng Shui and the pigs came a short distance over the border by truck. After all, HK still needed a lot of pork each day! This second picture shows the goods side of Hung Hong terminus. I never tried to explore this area when I lived there 1984-85, so it’s good to see the photograph. 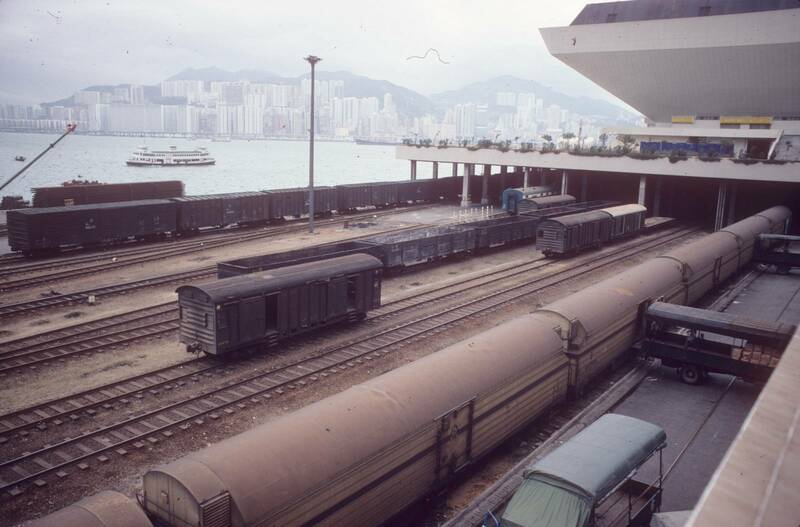 There’s an interesting collection of rolling stock, including some (then) modern refrigerated wagons in the foreground. Good memories of an interesting time in my career. 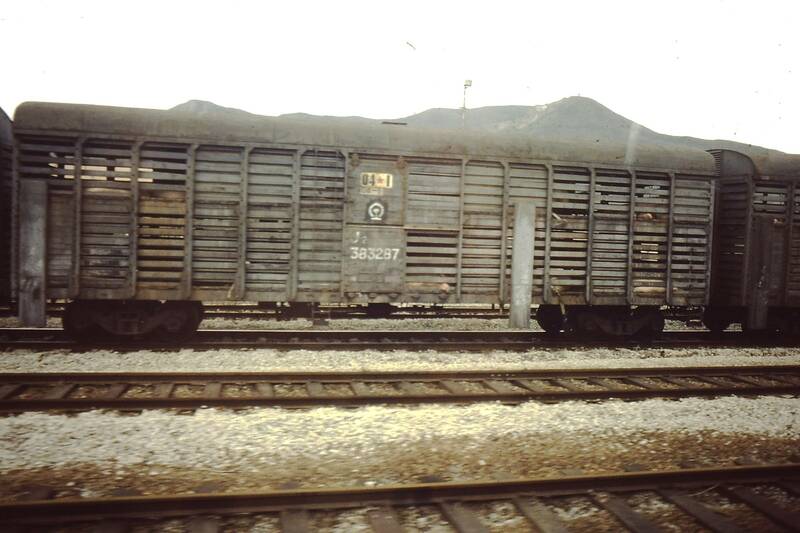 This entry was posted in ESNG, Hong Kong, Out and about, Prototype and tagged ESNG, Hong Kong, prototype, railway. Bookmark the permalink.